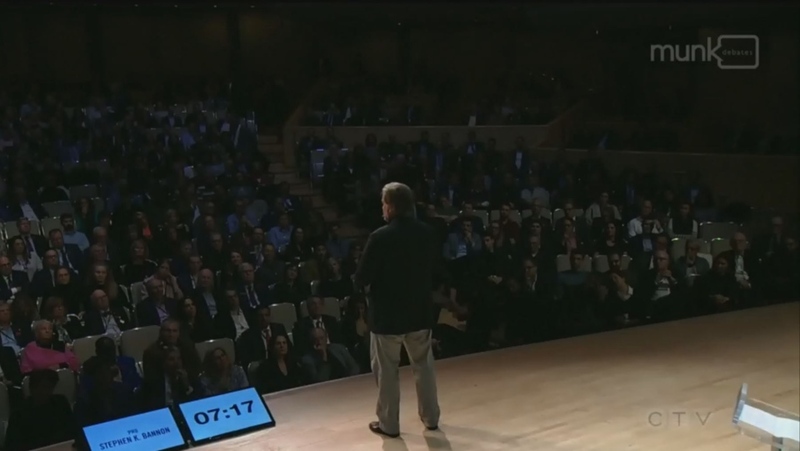 The Munk Debates has issued a correction stating that a “technical error” inflated the influence of Steve Bannon during a controversial Toronto debate Friday night. The audience was asked beforehand if they favoured the idea that populism was the way of the future. 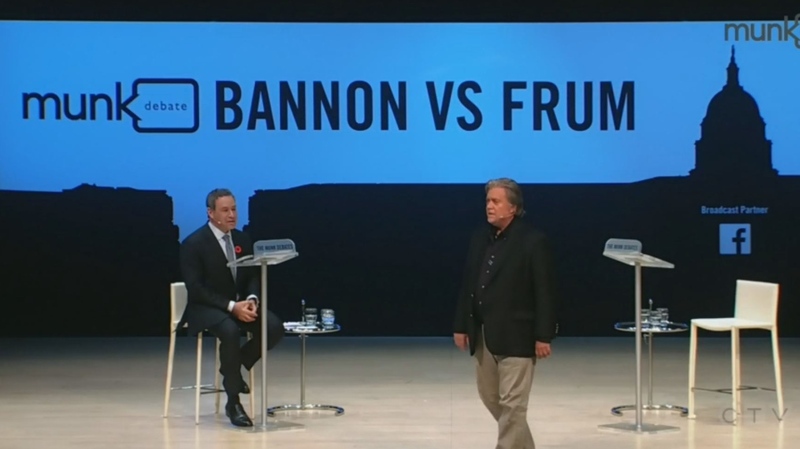 Just 28 per cent of the audience supported the idea before the debate, which saw Bannon and conservative commentator David Frum spar over populism in politics. The audience was polled again at the end of the debate to see if their opinions were swayed. The numbers initially suggested that Bannon had easily won over most of the audience, but officials issued a correction online Saturday morning stating opinions were unchanged. The mix up came when the results of a different pre-debate question -- was the audience open to changing their minds? -- were displayed instead, wrote Munk Debates chair Rudyard Griffiths in a Facebook post. More than half of the audience said they were open to changing their minds on the populism issue. Confusion followed the update with some social media commentators insisting that Bannon still won the debate, others voicing skepticism and disappointment about how the polling results were handled. “Very fishy...very, very fishy, Munk Debate,” wrote one Facebook user. “The numbers were confusing all night,” wrote another commenter on munkdebates.com, detailing a series of incidents during the event when the debate chairman and moderator Griffiths announced results of a poll only for the audience to see different numbers displayed on a screen on stage.